Check out “Weekly Dose,” an online series that presents materials from Boston Medical Center’s new book and multimedia toolkit, OK to Proceed? The project is designed to appeal to a broad range of stakeholders with varied learning styles and aims to improve patient safety in hospitals. 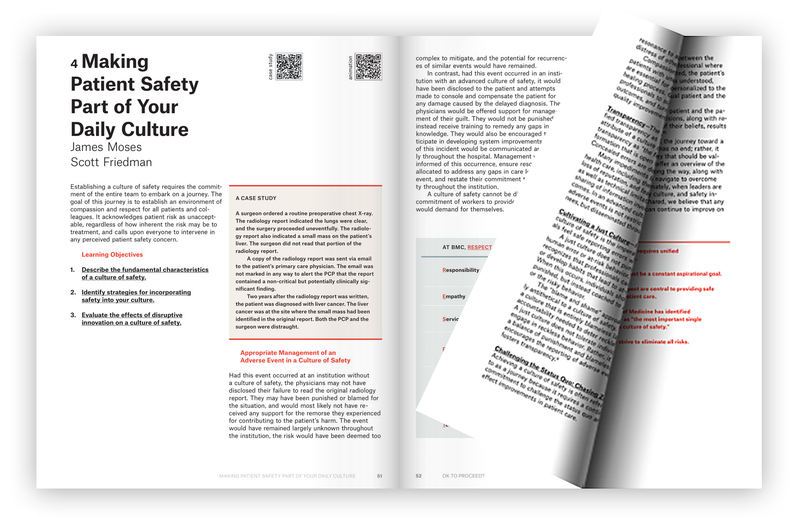 Each week one of the book’s 52 chapters is available online, including links to an audio case report and video animation. The multimedia series will extend through 2019. To follow the series, visit the website each Monday or follow @BetsyLehmanCtr for tweets linking to the series.